Thanks to all of you who gave feedback on the cover. Here is the final version. I think it is rather snappy. In case you missed it before, here is the link to the launch/landing page for Empty Hand Revolution. Sign up to reserve a copy of the ebook at the opening price. (First 5,000 for $2.99. After two weeks or 5,000 the price will go up to $9.50.) And below is the longer product description. I’m getting more and more stokes about this project. It won’t shake things up in the U.S. as much as India. But the ripple effect will be fun to watch. In other news, I’ll be heading down to Provo, Utah for Life, The Universe and Everything this Thursday through Saturday. 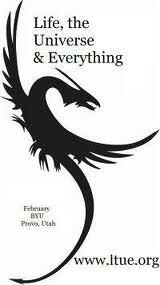 A long running readers and writers’ conference for science fiction and fantasy based stuff, LTUE is a pretty powerful networking and brainstorming resource in the Rocky Mountains. If you are planning on attending, look me up or shout me out. Should be a good time! The war defines the warrior. 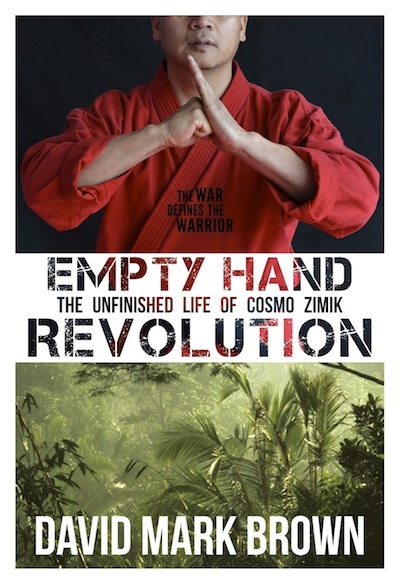 Born into a tribal war with India, trained as a black belt and street fighter from the age of nine, tortured and left for dead at the age of seventeen, Cosmo Zimik has an intimate, working knowledge of violence. During his long weeks of recovery, nursed to health by a total stranger deep in the jungle, the seed of the Empty Hand Revolution germinated in Cosmo’s mind. Four years of underground fight clubs, multiple contracts on his life and another near death experience forced Cosmo’s Empty Hand Revolution into full fruition. In a world hungry for power and drunk on violence, what does it mean to be a warrior? True greatness requires humility. Courage requires surrender. Developing into a warrior on such terms has been Cosmo Zimik’s life quest. Born a Naga and forged a warrior, Zimik became a missionary and then finally a revolutionary of a new breed. From the jungles of Manipur to the streets of Delhi to the countryside of Idaho, his extraordinary journey will equally inspire and convict. Empty Hand Revolution invites the reader to experience Cosmo’s sometimes humorous, sometimes tragic, yet always incredible world through his own eyes. And may the bold in spirit discover first-hand where empty hands can lead. It’s looking great! And this story sounds amazing. I am preordering now!